Please see the the bottom of this page for the latest updates. This vision is materialising in the form of the Derby Silk Mill Museum of Making. The word Making has a multitude of interpretations; from how Derby was “made”, through all facets of industrial history and manufacturing, to the act of crafting things yourself from a wide range of materials. DSMMoM will celebrate Derby's history and the associated skills of the city, as well as offering people the chance to learn and develop skills of their own. In that context, railways are a perfect fit; intrinsic to the history of Derby and relying on a bewildering range of crafts and skills. The Midland Railway Study Centre will continue its role in assisting people learn about that history, while the famous model railway will form the perfect environment to learn or apply many skills — at least those needed to reproduce the Midland Railway of the Edwardian period in miniature. Even if ‘hands on’ isn't your thing, there will still be plenty to look at with ALL the objects from the combined collections of ourselves and Derby Museum being in “accessible storage” and so, for the first time, available for all visitors to appreciate — without appointment. Before any of that can happen, however, nearly a century of neglect that has blighted the building needs to be reversed. When the Mill was rebuilt following the fire which literally razed it to the ground at the beginning of the 20th century, the liberal use of asbestos was intended to prevent a reoccurrence. Combined with a riverside site which present its own structural problems, and several generations of public ownership with consequent minimum investment in the fabric, this is a once in a hundred years opportunity to bring this World Heritage site back into tip-top condition. That amount of work, however, can only realistically take place with a completely empty building — and is certainly not compatible with keeping irreplaceable artefacts anywhere in the vicinity. Thus we have now “Decanted” to a temporary site for the duration of the building works. The planning work to get us to this point is itself hugely impressive. Staff from Derby Museums have worked tirelessly to develop the fine detail and prepare various bids for funding. The lion's share (£9.4M) is to come from the Heritage Lottery Fund with the balance coming from the Arts Council, trusts, foundations and fund raising. Meanwhile, Bauman Lyons Architects of Leeds were appointed to develop the design for the building and see the project through, and specialists in developing inspirational visitor environments, Leach Studio of Huddersfield, are designing the look and feel of the exhibition and learning spaces. The task to empty the building began in earnest in January, and the Temporary Site prepared to receive its treasures. A team of volunteers has been assembled and trained to assist with the work under the exacting conditions expected of an Accredited Museum. As for our place in the Derby Silk Mill Museum of Making, it will certainly look different. Although we will be in the same part of the building as we currently occupy, because all our objects will be redeployed elsewhere, either on display or in Accessible Storage, our footprint will contract. 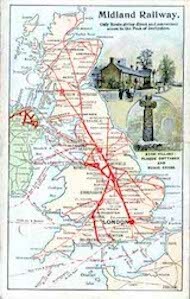 All we will be directly responsible for will be our own and Derby Museums's Midland Railway document & ephemera collections, providing access to them for researchers and anyone interest in learning about the social history they represent. We will continue to be volunteer led, operating by appointment, with a reading room constructed as a new mezzanine above our existing object store and accessed — step free — from the second floor of the Silk Mill. Another six weeks or so have elapsed since the last update. Though this has been immensely frustrating to us, it was the inevitable outcome of our corner of the Silk Mill being the first to be emptied. Even though ours was one of the most challenging elements of the decant, it still only represented a fraction of the whole project. The rest of the contents of the several store rooms in the Silk Mill each had to be methodically packed and moved. Still yet, the physical limit on space at the "other end" meant that everything had to be very carefully placed in order to make it all fit. This, in a nutshell, is where the last six weeks went. As good a job as Harrow Green have done in siting and re-shelving the contents of cabinets that had been moved to the Temporary Site, understandably they could only complete part of the process. The rest has been accomplished by Daniel, Sally, Jan and Eilish of Derby Museums, utilising their collective endless patience and ingenuity. Following the Easter break, the Study Centre volunteers got their first look at what will be our home-from-home for the next year-and-a-half (or so). We could even see the floor in a few places. The first order of business, having located the kettle, was to start getting the reading room/office into some sort of usable shape. This included restocking the Midland Railway Society library shelves — a process which itself revealed more floor as the pile of boxes they formerly represented slowly diminished. This is the view of our corner of the Temporary Site after we did as much as we could for now. It still isn't ready for use: We anticipate another (small) desk appearing in the place of the boxes seen in this view. The contents of the boxes will end up in a pair of cabinets which have been waiting to be brought over from the Silk Mill until such time as there was somewhere to put them! It is worth repeating that we are but a small part of the job. Our friends & colleagues volunteering on the Model Railway are going through a very similar exercise. They too are exploring the feasibility of elastic walls™. The good news is that we are still on course to be able to accept visitors from mid-May. If you have been waiting for this news, please get in touch to discuss the availability of appointments. However, the Museum have confirmed with us that limited staff availability at their end precludes weekend usage of the Temporary Site. If this presents a problem for you as a potential researcher please let that stop you getting in touch to discuss your options. As we get closer and closer to the point where we can begin welcoming visitors to our Temporary Site, we are continuing to get ourselves organised. The sheer scale and quantity of the items which have been moved out of the Silk Mill are such that they have had to be spread across three different sites around Derby. 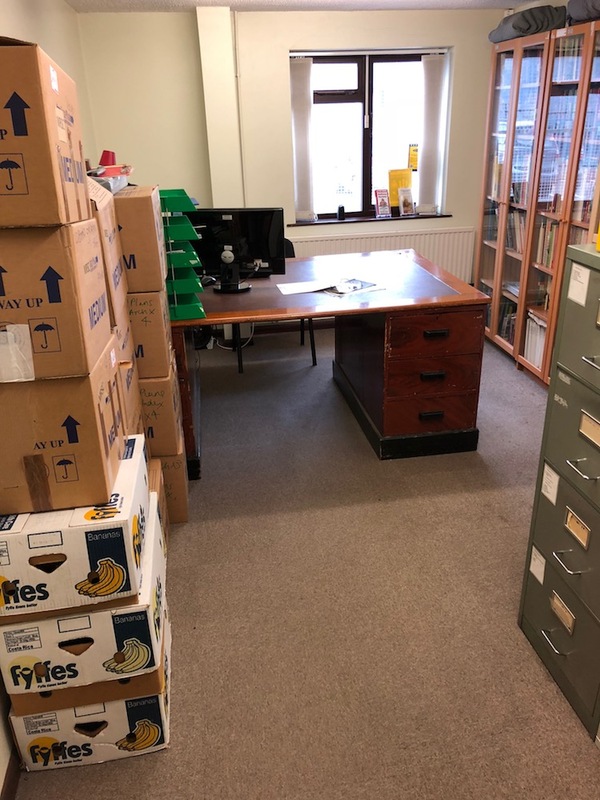 An unfortunate but unavoidable consequence of this is that some of our larger items — notably our rolled plans and plan chests — have had to be stored away from the Temporary Site of the Study Centre. 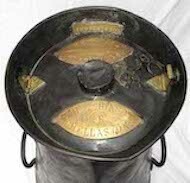 Provided sufficient advance notice is given by visitors who want to consult these items (all of which are now clearly identified accordingly in our on-line catalogue) this won't present any insurmountable problems. It has, however, caused us a little additional work in precisely pinning-down where everything now lives. Meanwhile, the work of finding a suitable home for everything is a continuing challenge as the restricted space usually means that moving one thing requires two or three other items to be moved first. None of these challenges are unexpected but it all takes time — hence the delay. The patience and understanding of potential visitors is greatly appreciated. 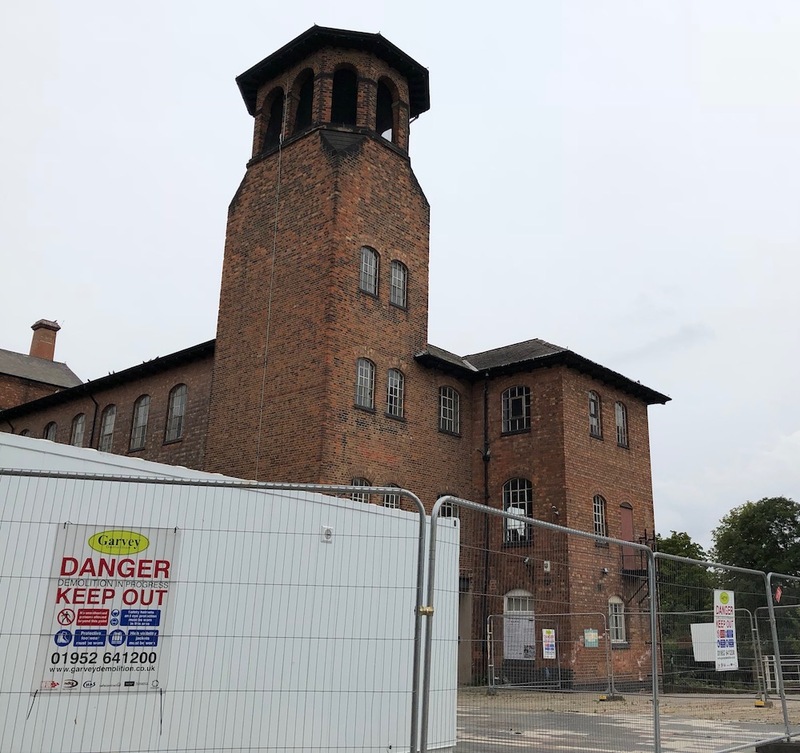 The "Enabling works", such as removal of asbestos, continue inside the Silk Mill with the building work set to get started with a vengeance very soon. Meanwhile, business (sort of) as usual continues in the Temporary Site. There is another page which contains the older updates about the Decant and the transformation into the Derby Silk Mill of Making.